so you should be in control. over some of your most valuable assets and resources. Uview provides a high level of transparency during the creation of a all digital resources – so you can be sure that the final product is exactly as it should be. Your intellectual property is retained and safeguarded, with data duplicated and mirrored in two separate New Zealand locations, giving a comprehensive secured disaster recovery and continuation plan. Uview makes it easy to manage all your brand resources. Finding your digital assets has never been easier with final versions being clearly visible and easily accessible. Uview means your digital assets and resources are no longer held by the creator, printer or production company, giving you the freedom to choose the best supplier for any future project. Uview’s image library is one of the most advanced systems available. The state-of-the-art intellectual property management system (IPMS) allows you to manage assets effectively, notifying administrators when assets are set to expire, showing license agreements, and customised metadata fields relevant to your organisation. Uview’s production board makes it easy to see where your work is in the production process. 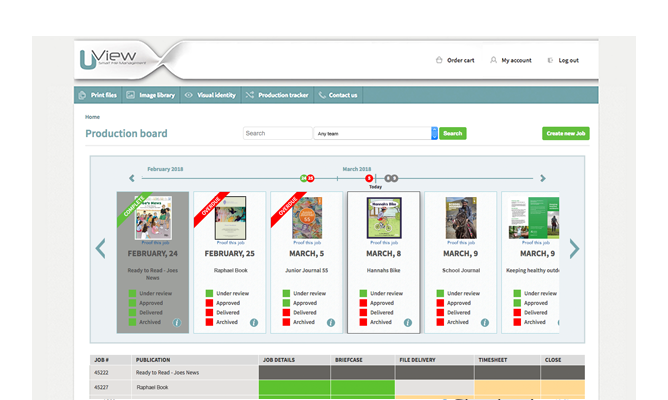 With multiple logins and reviewers, you can see who has contributed material and who has made changes or comments. Uview ensures you have a comprehensive view of all your digital asset activity. Our reports will allow for data driven information, and can be customised to your organisation and for any time period. Uview is customised to your organisation’s needs. Your archived assets are broken into categories such as publications, images, logos, media and TVCs, along with any associated licensing or IP data. Logins are customisable to key people in your organisation – they can have access to everything, or only certain types of content. Access can also be customised for specific assets – users can be given permission to download an asset directly, or they can be required to request authorisation first. A point of difference from other digital asset management systems is Uview’s human component – behind the scenes, experts help to make sure inventories are exceptionally well managed. Some organisations prefer the option of having someone from Uview physically located with their publication or communications teams. This is the ultimate in smart file management – we’re happy to talk about how this option could work for you. Uview makes it easy to keep track of images and logos, and has the functionality to manage the IP that goes with the asset. Images can also be cross-referenced to publications which use them, with an option to display all metadata associated with the image. 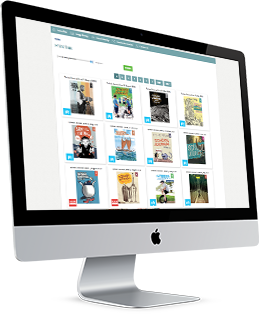 Uview’s online ordering system makes getting files for reprints simple. A few clicks and you’re done. A record is kept of all orders so you can see who’s ordered what and when. 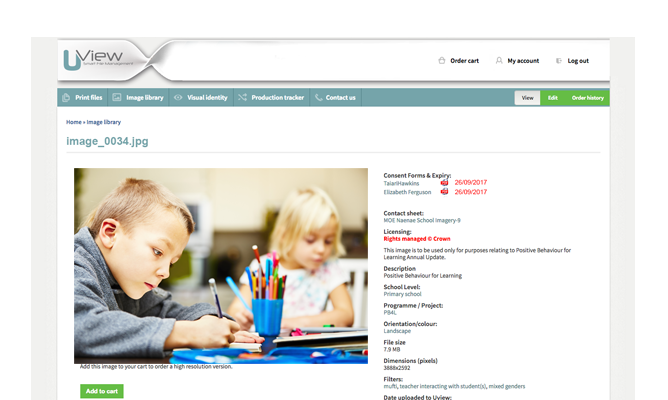 Uview is a product of Flex Media Group and has been used by some of New Zealand’s largest publishers for over 10 years. We have over 30 years experience in prepress and all things graphic arts. Put your brand in a safe pair of hands. Uview is a Digital Asset Management online system that is customised to individual clients and organisations. It offers an effective digital storage system for all your brand resources. This includes one of the most advanced image library systems on the market that incorporates our state-of-the-art IP management software. Included in Uview is a retrieval request system with options to download relevant files, or order them online with approval needed before downloading. 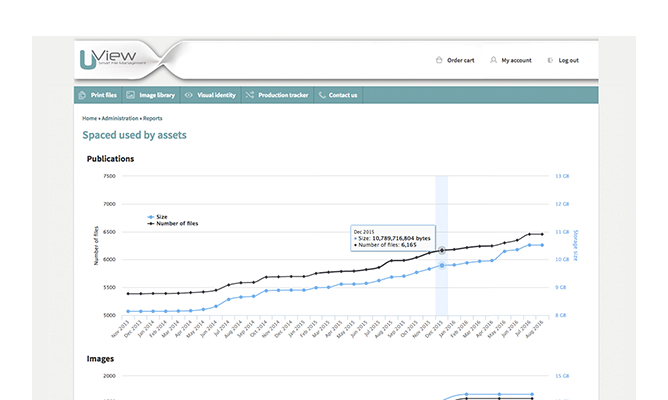 Our main point of difference compared to other Digital Asset Management systems, is Uview is not an off the shelf product you have to run yourself. We customise our product to your organisations specific needs. You also get our team, based right here in Wellington. We have over 30 years experience in prepress and all things graphic arts. Put your brand in a safe pair of hands.